ATTiny85 Module - Digispark with Micro USB - DuinoKit - Educational Electronics Learning Kits. 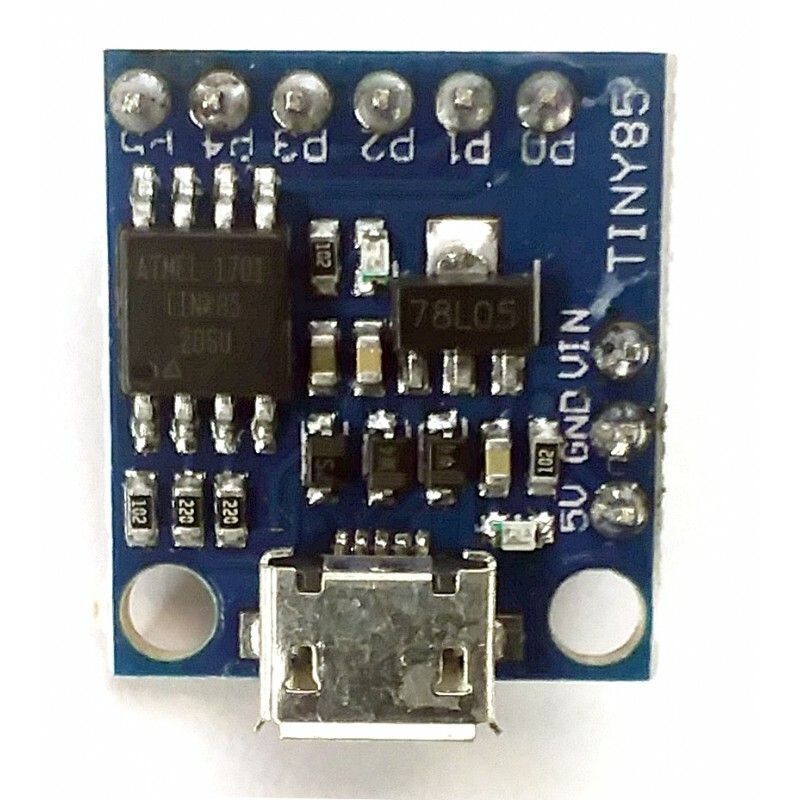 The Digispark is an Attiny85 based microcontroller development board similar to the Arduino line, smaller, and a bit less powerful. 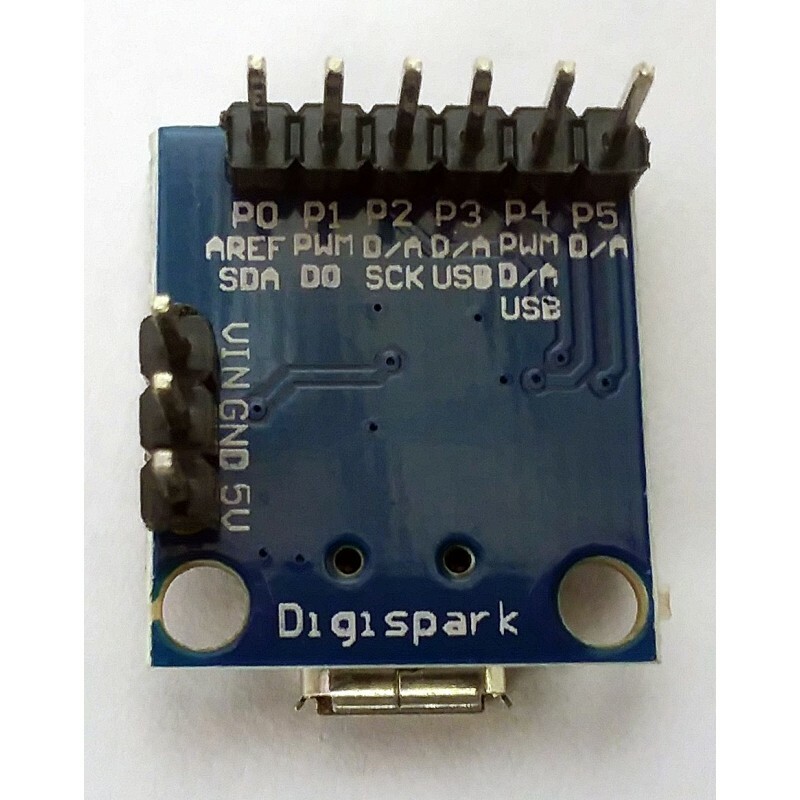 With the ability to use the familiar Arduino IDE the Digispark is a great way to jump into electronics, or perfect for when an Arduino is too big or too much.